There are a number of reasons why I teach Public Policy (350A the Canadian version and 352A the comparative, cross-national version when I am asked to teach it). First, because I believe my students deserve to learn practical skills for when they go out on the workforce. My course Public Policy (POLI350A) is designed to provide them with policy-analytical, collaborative, team-building and research/writing skills. Second, because I believe that the theoretical and empirical lessons learned in a Public Policy Analysis course can be applicable in real life situations. So I designed my course to be an applied, theoretically-founded and empirically-informed course. My students undertake a 72 hour, under-pressure policy-analytical exercise. And they learn a lot from it. This week I had the pleasure to host The Honorable Naomi Yamamoto, MLA for Lonsdale North Vancouver and Minister of Advanced Education of the province of British Columbia. 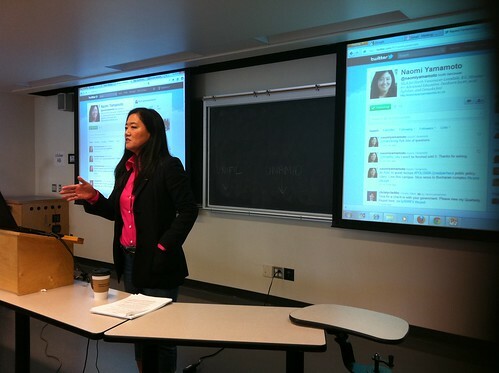 Minister Yamamoto spent an hour guest-lecturing and interacting with my 3rd and 4th year undergraduate Political Science students. I was extremely pleased at the depth of respectful, engaged intellectual discussions my students had with Minister Yamamoto. Theoretically-grounded and empirically-informed intellectual discourse is the foundation of good policy design. My students and Minister Yamamoto engaged in a very productive conversation on the future of Canadian and BC post-secondary education. Minister Yamamoto challenged my students to come up with the #1 barrier to access to postsecondary education, and ways to overcome these barriers. I have conducted theoretical and applied research on policy analysis. I have also undertaken consultancy policy-analytical projects. 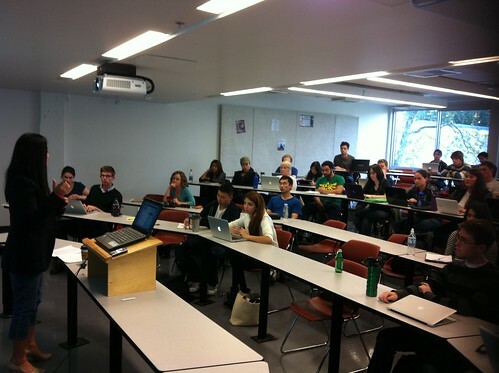 Because of my experience both in industry, and advising governments, I firmly believe that inviting guest lecturers who are working in the actual policy field is a substantially productive exercise, and I publicly wanted to thank Minister Yamamoto for taking the time to have this conversation with my students, for helping me educate them on the challenges and opportunities for British Columbia’s post-secondary education policy and for opening the forum to an engaged, civilized conversation on something all of my students have a stake on (as well as me): their future. I learned SOOOO much from Poli 350A! (So, even though I still complain, I complain with reason)! what you can gain from this course; I can’t describe it all in words. I recommend it to ALL students, even those not in Poli Sci!